There is a proper etiquette when it comes to the American flag. 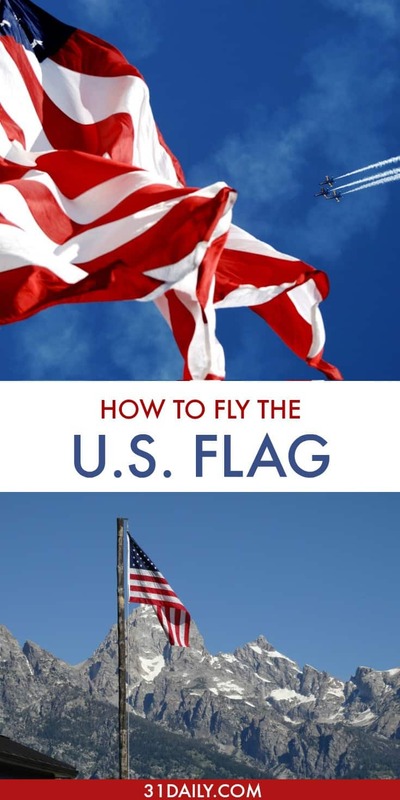 Here is a guide on how to fly the U.S. flag on patriotic holidays. As a beacon of hope and an emblem of unity, the American flag beckons our spirit, reminding us of our shared hope that freedom will always prevail. Red, white, and blue are not only colors that define our heritage but proudly proclaim our hope for the future. Those 50 stars and 13 stripes represent all that America has always stood for; the unending pursuit of liberty and justice for all. 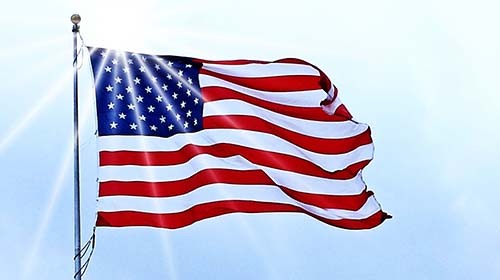 The colors of the flag are emblematic: red symbolizes hardiness, valor, and the blood shed for liberty; white symbolizes purity, innocence, and equality and blue represent vigilance, perseverance, justice, and fraternity. Because of all these things, we honor, pay homage and respect our flag and when we salute our flag, we show affection for our nation, our fellow Americans and the proud future we share together. The customs and traditions for displaying our flag help demonstrate the ultimate respect for the flag of our great nation. With Memorial Day, Independence Day and Labor Day right around the corner, it’s important to refresh our memory on proper protocol for our flag. According to www.usflag.org, there is a protocol for properly displaying the flag, specifically on Memorial Day. Fly the flag at half-staff until noon and then raise to full-staff until sunset on that day. If the flag is properly illuminated or weather proof, it may remain all night. If not, remove the flag at sunset. When raising the flag to half-staff, first raise it quickly to full-staff, then slowly lower to half-staff. RELATED: Poll: Will You Fly the U.S. Flag? The American flag should always be flown higher than other flags, such as state flags. If displaying flags of other nations, they should be flown separately but at the same height. The American flag is never to touch the ground, be written on, be worn as clothing, have anything attached to it, or be printed on anything made to be disposable. The flag isn’t to be flown in inclement weather unless it is an “all-weather” flag. It isn’t to be flown upside down, except as a distress signal. For more information on Federal Law regarding the display of the American flag, click here for a pdf sheet from the U.S. Senate.